iPhone 3.0 to feature voice control? Will the iPhone sound like Jobs or Woz when it finds its voice? The version 3.0 software upgrade to the iPhone, due to arrive in June, may include voice dialling and speech synthesis, according to Ars Technica. Apparently, enhancements to the iPhone's Springboard application include components that name-check a speech synthesizer and voice control. 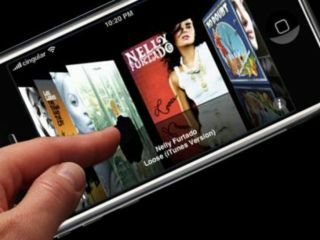 The iPod nano already has spoken menus and the iPod Shuffle will read the name of titles and artists out loud, so voice generation is far from unlikely. Voice dialling and control would be unexpected, if only because Apple did not mention the features when it unveiled the iPhone 3.0 SDK to developers last month. However, there are already several voice recognition apps available for the iPhone, and many handsets from traditional phone manufacturers offer passable voice dialling features. New features that will definitely appear in the 3.0 update include MMS messaging, cut and paste, improved searching, landscape texting and emailing and support for stereo Bluetooth headsets.